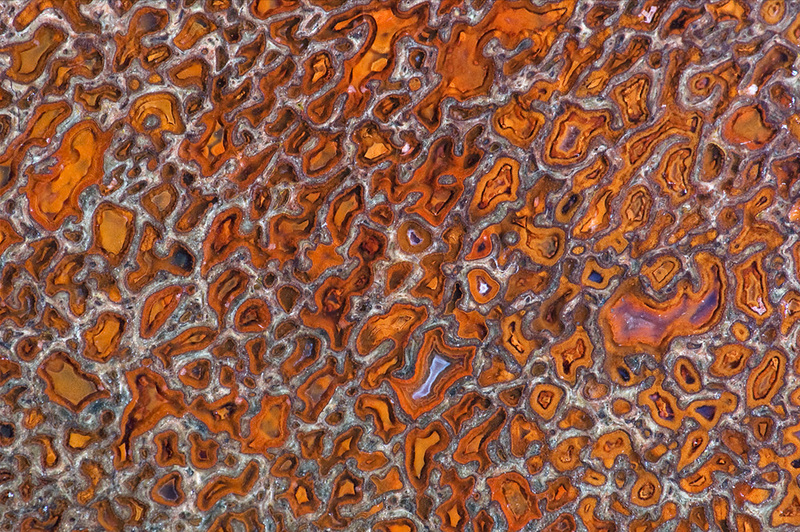 This polished slab of dinosaur bone, shown about three times life size, exposes the marrow segment, called trabecular or cancellous bone. Where it came from is uncertain—it was furnished to me as a gemstone. This great piece of dinosaur bone is 125 to 165 million years old, from the earlier part of the Jurassic period.